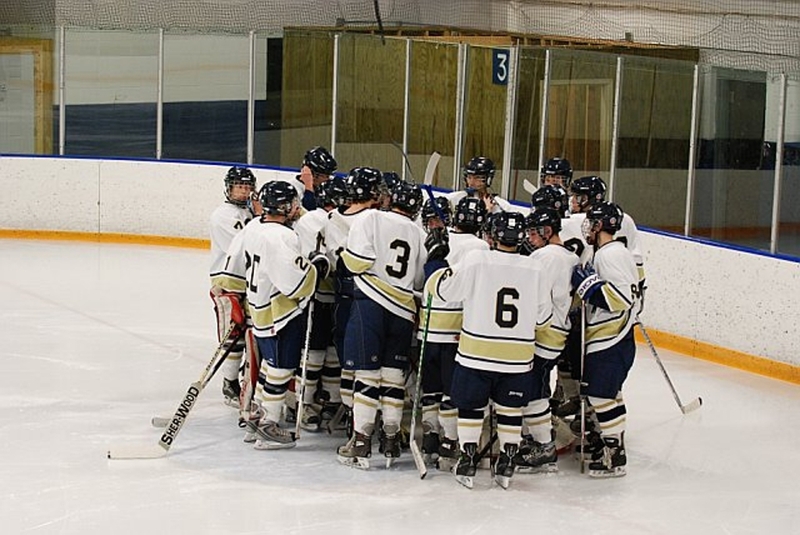 The St. Paul Academy and Summit School/Mounds Park Academy boys varsity hockey squad came off of their Christmas holiday break with two things on their minds: win the Drake Arena Holiday Tournament, and avenge their only loss thus far this season, to the St. Francis Saints. Unfortunately neither goal was met, and the Spartans had to settle for second, as the Saints skated away with the tournament title. The tournament field was rounded out by Meadow Creek Christian, who took third place, and Minneapolis West. The "B-Boys" from St. Francis were the main hurdle the Spartans could not clear in this tournament. After rather convincing wins over Meadow Creek Christian and Minneapolis West, the Academy couldn't contain Saints forwards Joey Benik and TJ Belisle, as each tallied five points in the final, and deciding game of the tournament. Joey's twin brother Andy Benik stopped most of what the Spartans threw at him, making 25 saves on 27 shots as the Saints marched to a 6-2 victory. Joey Benik was the tournament MVP as he tallied an eye-popping 20 points in three games, which put him over 50 points thus far in the season. Academy junior winger Wyatt Wenzel tallied 10 points in the three games, leading the Spartans to a 2-1 record in the tournament, and a respectable 6-2-1 overall. Next up for the Academy is Tri-Metro Conference rival The Blake School, which will take place on Saturday, 3 January 2009, 3:00PM at the Blake School Ice Arena in Hopkins.